Resultado da busca por "MATERIAIS DE CONSTRUÇÃO"
Selecione a empresa: EMPRESA: Todas as empresas PLACAS CIMENTÍCIAS BRICKA WALLISCORSILPERGO MATERIAIS DE CONSTRUÇÃO E DECORAÇÃOEMBRAMACO EMPR. BRAS. DE MATS P/ CONSTRUÇÃOCERÂMICA ALMEIDACLANAP COMÉRCIO DE IMP. E XP.RUDLOFF INDUSTRIALSTI COMERCIALCALCINFER HOTELARIA E CONSTRUÇÕESTEIL COMÉRCIO DE MATERIAIS DE CONSTRUÇÃOMETASUL PLÁSTICOS E METALURGIAPAVIARTEDAOBRAMOZAIKBEM FIXA INDÚSTRIALGRUPO DEMAMADEIREIRA CARTESCOS S/ATOGNI S/A MATERIAIS REFRATARIOSCAPELASSO E CIACASAS DA AGUA MATERIAIS PARA CONSTRUÇÃOORGUELDEPÓSITO POMPÉIAIPÊ REPRESENTAÇÕES DE MATERIAL PARA CONSTRUÇÕES LTVOTORANTIM CIMENTOS S.AF. PINHEIRO COM. DE FERRAGENSSOLOSSANTINICIMENTO GUAÍBAMUNDO DO CONCRETO COMÉRCIO E SERVIÇOSMAFER CALHAS E COIFAS INDÚSTRIA E COMÉRCIOIRMÃOS SOARES S/AFRANZOI MATERIAIS DE CONSTRUÇÃOMADEIREIRA CANANÉIAMADEIREIRA JFMADEIREIRA AMERICANAMADEIREIRA CAUCAIA IND. COM. E CONSTRUÇÃOMWM IMPORTAÇÃO EXPORTAÇÃO E COMÉRCIOTECNOONE COM. E DISTRIB. DE MATERIAISJGTECH JOSÉ ROBERTO GALTER ADESIVOS E REVESTIMENTOHIDROCENTER DISTRIBUIDORAGARCIA MADEIRASCONSTRUMARQUES JAU MATERIAIS DE CONSTRUÇÃOACABAMENTO BEL LARCASTELO FORTE RECANTO MATERIAIS PARA CONSTRUÇÃOPORTÃO MATERIAIS PARA CONSTRUÇÃOKORALLE COMÉRCIO DE MATERIAIS DE DESENHORAUL MATERIAISCONTINENTAL MATERIAISLUIZ SCHIRMANN FILHOPALOSCHI COM DE MAT PARA CONSTCASA DOS MATERIAISBELLTRÃO DISTRIBUIDORATIRA TEIMACASA ACABAMENTOSVITRINE ACABAMENTOSPROGETTO ACABAMENTOSKONSTRUIRALVORADA MSCASA DAS PONTAS PISOS E AZULEJOS68 CENTERDMC IND. E COM. DE MAT. P/ CONSTRUÇÃOCASA SANTANAD PISOS PISOS E REVESTIMENTOSDISTRIBUIDROA MURALHA COM. CONSTR. CIVIL. SERV.GERPORTOFINO REPR. E COM. INTERNACIONALDEPÓSITO TIJOVALEABACHERLI COM DE MAT. PARA CONSTRUÇÃOCASA DO CONSTRUTOR E MATERIAIS DE CONSTRUÇÃOCONSTRUVOLTS MAT E SOLUÇÕES PREDIAIS E INDUSTRIAISALPE ENGENHARIA E CONSTRUÇÕESDIGICOLOR CENTERMORART MATERIAIS PARA CONSTRUÇÃOMELLO MATERIAIS DE CONSTRUÇÃOO FAZENDÃO COM DE MATERIAIS DE CONSTRUÇÃOPOTRICH MATERIAIS PARA CONSTRUÇÃONOVA CASA MATERIAIS DE CONSTRUÇÃOCASA E OBRAHIGASHI LAR E CONSTRUÇÃOBIMIG COMÉRCIO E REPRESENTAÇÃOWALTER BELTRAME E CIASULFLEXMOPER MATERIAIS DE CONSTRUÇÃOCASA SOARESARTIGOS DE SOLOAGOL SERV E COM DE MAT PARA CONSTRUÇÃOLAB.CON CONSULTORIANADIMAROLIFER COMLIRMÃOS RAUSCHTECNO BASE MATERIAIS PARA CONSTRUÇÃOCASA DE FERRAGENS DOURADINHOCHALÉ ARTA COMERCIAL RNDEPÓSITO DE MATERIAIS P/ CONSTRUÇÃO 5 UNIDOSDEPÓSITO SÃO MATEUSCASA NUNES MATERIAIS P/ CONSTRUÇÃOCLUBE DA CASALIGA PARAÍSOCASA DO ARQ&TETOFORTE AREIACASA FERREIRA FERRAGENSCASA AGRÍCOLAMARINHO REPRESENTAÇÕESCAVALHEIRO & RAMOSBOLY COMÉRCIO E INDÚSTRIA DE ENCARTELADOSCASA SHOW S/AREDEMAC CAÇULASG BORRACHAMATERIAIS DE CONSTRUÇÃO TERRA & TETOHOFFMANN MATERIAIS DE CONSTRUÇÃOCASA NOVA MERCANTIL DE FERRAG ELÉTRICA E HIDRÁULICNOVO HAMBURGO MATERIAIS DE CONSTRUÇÃOCASA FORTEMATERIAIS DE CONSTRUÇÃO INTERBRASILBACELAR MAT PARA CONSTRUÇÃOTELHAS LESTELOJAS ALVES COM DE MATERIAL DE CONSTRUÇÃOARCÁDIA MATERIAISBAVCOM COM DE MATERIAIS DE CONSTRUÇÃOIMPERMIX MAT. DE CONSTRUÇÃOPASTILHART COM. DE REVESTIMENTOS P/ CONST.PAVIN PAVIN E CIATELHAFERGLASSHAUS COMÉRCIO DE MAT. DE CONSTRUÇÃOCOMACCERÂMICA QUEIROZ S/AFORTESETERNIT SALEROY MERLINBLOCO RENGER IND. COM. E SERV.C&C CASA E CONSTRUÇÃOPACOFIXFKPRIMUS INDÚSTRIA E COMÉRCIO DE PRÉLAFARGE BRASIL S/APAVONE COM. MATERIAIS P. CONSTRUÇÃOVIDROMAT COMÉRCIO E TRASPORTADORASHOPPING FREI CANECA MATERIAL DE CONSTRUCAOPOLIMAQ DIST DE EQUIP.DE ENGENHARIACORA CONSTRUÇÕES RACIONALSOTEO EQUIPAMENTOS INDUSTRIAISPEX DO BRASILCOMERCIAL VALMAGWALMA IND. E COM.KRESPISCHTUNEL CAMPINAS MAT P/ CONSTSÃO MARTINHO MERCADÃO DE MATERIAIS P/ CONSTRUÇÃOFRANZANA MATERIAIS PARA CONSTRUÇÃOCASA FRANCEZABASAL COMÉRCIO E TRANSPORTESTARANTA MATERIAIS PARA CONSTRUÇÕESCICLEYLUZITANOJOLITETO NOVOJR CIMENTODISTRIBUIDORA CRISTIANO MAT. DE CONSTRUÇÃOASESMONFARDINI IND. E COM. DE MADEIRASCOMERCIAL BMCASA POPULAR COMÉRCIO DE MATERIAIS DE CONSTRUÇÃOJOAG MATERIAIS DE CONSTRUÇÃOIRMÃOS DE GENAROMARTINIOMC MATERIAISCIMFELSUGUIURA DEPÓSITO DE MAT PARA CONSTRUÇÃOLAJÃO AVARÉ MATERIAIS PARA CONSTRUÇÃOJORGE RODRIGUES MATERIAIS DE CONSTRUÇÃO EPPMATERGI MATERIAIS DE CONSTRUÇÃOCARVALHO VIEIRA & CIALOCARDI MÁQUINAS DE CONSTRUÇÃO CIVILSERRALHERIA SANTA RITAMACHPOLLI MATERIAIS PARA CONSTRUÇÃOCIDADE NOVA MATERIAIS DE CONSTRUÇÃOREVITECH PISOSCASA DO PISOPISO E PAREDE MAT. DE CONSTRUÇÃO E ACABAMENTOSSANTA CRUZ ACABAMENTOSDIX ACABAMENTOSFERREIRA ACABAMENTOS MATERIAIS DE CONST.CASA SERRA COMÉRCIO DE MATERIAIS PARA CONST.BRAZILAJESCAPIFER PRODUTOS SIDERÚRGICOSTECNO FACASACABAMENTOS NOBRESREAL ACABAMENTOSORIGEM ACABAMENTOS E OBJETOS CONS. DE ARQUIT.ENGELMIG ELÉTRICAPLASPÉROLABANDEIRANTESFORMATTOMMC MORVILLO MATERIAIS PARA CONSTRUÇÃOPEDRÃO PVCCONSTRULARGIGANTE MATERIAIS PARA CONSTRUÇÃOFORNECEDORA NOVO RIOGUIMARÃES COMÉRCIO DEMATERIAIS DE CONSTRUÇÃOCASA PENA FERRAGENS E MAT. DE CONST.MAX MOHR FILHO E CIACIA DA CONSTRUÇÃOLAJES E BLOCOS BORGES COMÉRCIO DE MAT. DE CONS.COMERCIAL DE MAT. PARA CONSTRUÇÃO NOVA BERTIOGACOMÉRCIO DE MATERIAIS DE CONSTRUÇÃO PERYBRANDÃO COM. LOCAÇÃOD E MÁQUINASARGAMASSA PAMPAVIBROSUL EQUIPAMENTOS PARA CONSTRUÇÃO CIVÍLDEPÓSITO BRABÂNCIAORNATUS COM. DE MAT. DE ACAB. PARA CONST.CIVILAREALVIA COMÉRCIO IND. E REPRES.CASA ROSSISP REFORMA.COM. INSTALAÇÕESAKRON IND. E COM. DE MATERIAIS DE CONSTRUÇÃOBIG HOME CENTER MATERIAIS DE CONSTRUÇÃOLOC BEMNANU CONSTRUÇÕESMONTTENRUSTIC CENTEREFP MATERIAIS PARA CONSTRUÇÃO MEMOSAICO BERNARDIPONTAL CONSTRUÇÃO E ACABAMENTOWMS AREIA E PEDRAMATERIAIS PARA CONSTRUÇÃO LAGOA DA INDEPENDENCIALECIMENTO ATACADÃO DE MATERIAIS PARA CONSTRUÇÃOFM DISTRIBUIDORA DE MAT PARA CONSTRUÇÃOCOMERCIAL DE MATERIAIS PARA CONSTRUÇÃO CASTORBISPO COM DE MATERIAIS PARA CONSTRUÇÃOBOTÂNICO HIDRÁULICO E CONSTRUÇÃOCAMPEÃO CC MATERIAIS DE FERRAGENSHOME CLASSPEREIRA MATERIAIS DE CONSTRUÇÃOCOMERCIAL SÃO JOÃODEFLESH MATERIAIS PARA CONSTRUÇÃODEPÓSITO TORTORELLA MATERIAIS PARA CONSTRUÇÃOLUCHETTI COM DE MATERIAIS PARA CONSTRUÇÃOCOMERCIAL JIMENEZCRISLAINEPRUDENPINHOS COM DE MAT PARA CONSTRUÇÃOSG GONÇALVESFADA MATERIAS DE CONSTRUÇÃOLAYOUT INTERIORES COMÉRCIO E REPRESENTAÇÃOCARACOL MATERIAIS DE CONSTRUÇÃOCOLABLOCOTAVELA JUNIORAGS MASSASZC MATERIAIS DE CONSTRUÇÃOSOLAR DISTRIBUIDORAG5 MATERIAIS PARA CONSTRUÇÃOJE BRAGA MATERIAIS EPPLG MATERIAL DE CONSTRUÇÃOPESADÃO MATERIAIS BÁSICOSAPOIO TINTAS E MATERIAIS ELÉTRICOSSKILL MATERIAIS DE CONSTRUÇÃOPONTO CERTO MATERIAIS DE CONSTRUÇÃOALMEIDA MAT DE CONSTNOVA ERA PORTASEMPRESA DE CIMENTOS LIZ S.ADICICOTUMKUS E TUNCKUSTUBOS COPELBETONART INDUSTRIA DE CONCRETOSMULTIPLUS TECNOLOGIA E COMÉRCIOLEMARE TINTASFABRIL TELHASCONSTRUBEMDAL FABBROCAMPBASE MATERIAL PARA CONSTRUÇÃOCASA PRIMAVERA MATERIAIS MADEIRA CIMENTOCHAPADÃO MATERIAIS PARA CONSTRUÇÃOCONCREMASSA SERVIÇOS DE ENGENHARIA E COMÉRCIOCOSTA LIONFERRI MADEIRAS E MATERIAS DE CONSTRUÇÃOCONTORNO CERTO COMÉRCIO DE MAT DE CONSVITRO LARCOMPAC MÁQUINAS E EQUIPAMENTOSPONTO FINALATACADÃO DO FERROELETROBALA COM DE MATERIAIS ELETR HIDRÁULICOSALICERCE COMERCIALJOÃO ILHA MATERIAIS PARA CONSTRUÇÃOAJ MANHÃES MATERIAIS DE CONSTRUÇÃOELETROENGE MATERIAIS DE CONSTRUÇÃOARCIMOL ARTEF. DE CIMENTO E MAT. DE CONSTRUÇÃOMACODESC MATERIAL DE CONSTRUÇÃOH. SOARES MATERIAL PARA CONSTRUÇÃOTELHA NORTEBJ FORTE MATERIAIS PARA CONSTRUÇÃOTIBERÓMADEIREIRA DOM BOSCOCIMECAM DISTR. DE CIMENTO E MAT. P/ CONSTRUÇÃOSUL MÓDULOS DE DIVISÓRIASCIMENTO TUPI S/ASJL MADEIRASJLN MATERIAL DE CONSTRUÇÃOCAETANO DE TATUÍ MATERIAIS PARA CONSTRUÇÃOSECOL MATERIAIS PARA CONSTRUÇÃOCASA LAR E CONSTRUÇÕESGUAREZI MATERIAIS DE CONSTRUÇÃOMV PEDRASMAZZOLA E SILVA MATERIAISCOUTO MATERIAIS DE CONST COM. AREIA E PEDRASANITÁRIA BRUNENSEBEIRA RIO MATERIAL PARA CONSTRUÇÃORP MATERIAISVIEIRA MATERIAISDELTA TERRAPLANAGEMESTRELA COM. DE MAT. DE CONSTRUÇÃO E FERRAGEMMALESKI E MALESKIPARANÁ TRADING CORPORATIONCNRDEPÓSITO ZONA SULSEGATO DO BRASIL PISOSLUXUS ACABAMENTOSBASE FORTE ACABAMENTOSQUALITÁ ACABAMENTOS DA CONST.CIVILNICMA MATERIAIS DE ACABAMENTODEPÓSITO IRMÃOS BECKERGRUPO CALIFÓRNIAADAGIL MATERIAIS DE CONSTRUÇÃODEPÓSITO SÃO BENEDITOJR MATERIAIS DE CONSTRUÇÃOBARRIGA VERDE IMP. E EXP.CARAÇUÍCASA & PROJETOCENTERNIT MATERIAIS P/ CONSTRUÇÃOCENTRAL ITOUPAVAHIDROMIX COMERCIALDEPÓSITO SÃO LOURENÇOALIARE COM. DIST. E REPRESENTAÇÃORTDRYWALL GESSO COM. DE MATERIAIS DE CONSTRUÇÃOBAHIA FERROSERIT PROJETOS E SERVIÇOSTECHNICAL MATERIAIS DE CONSTRUÇÃOALDEIA MATERIAIS DE CONSTRUÇÃOBANDINI E CIATECNO LOGYSJ.PRATES COM. DE FIOS SOC. EMPRESARIALSANTA HELENA DRACENA MAT. P/ CONSTRUÇÃOREMAC CONSTRUÇÕESMATERIAIS PARA CONSTRUÇÃO OLÍMPICOPIMACOLIND.E COM DE MATERIAL DE CONSTRUÇÃOCAVEMA HIPER ATACADO COM E REP DE MAT DE CONSTRULOJAS MARANATA TINTAS E CONSTRUÇÃOTINCON MATERIAL DE CONSTRUÇÃOCOMERCIAL MADEIREIRA PINEZISÓ REPAROS SUPER LOJA DA CONSTRUÇÃOM CASSAVIA MATERIAIS PARA CONSTRUÇÃOCALIMAT MATERIAIS PARA CONSTRUÇÃOA APRONTE CASA MAT DE CONSTRUÇÃOCIMENTECROREMAR COM DE MAT PARA CONSTRUÇÃODEPÓSITO SANTO AMAROMAZUCO COM DE MAT PARA CONSTRUÇÃOSÓ PESADOS MATERIAL DE CONSTRUÇÃOTARANA MATERIAIS DE CONSTRUÇÃONOVA SANTA CRUZ MATERIAIS PARA CONSTRUÇÃOPARAÍBA MATERIAIS DE CONSTRUÇÃOCONCRESA COMÉRCIO E IND DE MAT CONSTRUÇÃOELCCOIRMÃOS QUAGLIO CIACOMERCIAL DE FERRAGENS KIYODAYDIMAR TOOLSCONIBASE COM DE MAT P/ CONSTRUÇÕESDEBERSAN MATERIAL PARA CONSTRUÇÃOFERCON FERRAGENS E MATERIAIS DE CONSTRUÇÃOMAIS COMERCIO DE MATERIAIS PARA CONSTRUÇÃODISTRIBUIDORA CONSTRUPLASTMISTÃOLUKAS MAT DE CONSTVITÓRIA MADEIRASAVIZDE TUDO UM POUCOBRASITÂNIA MATERIAIS PARA CONSTRUÇÕESBIGOLIN MATERIAIS DE CONSTRUÇÃOA&C MATERIAIS DE CONSTRUÇÃODEPÓSITO SANTA TEREZINHAGM MATERIAIS DE CONSTRUÇÃOCONSTRUTORA ANDRADEKURTEN MADEIRASBASE FORTETANCALCERÂMICA GATTOCERÂMICA MONTE CASTELOLINEARTBRENNY MATERIAIS DE CONSTRUÇÃOCAUÊGALPÃO ATIBAIA IND.E COM. DE MAT. P/ CONSTR.HOLCIM BRASIL S.ACIPLANOLARIA SÃO SEBASTIÃOCASA DA VEDAÇÃO COM. IMP. EXP.PRECON INDUSTRIAL S.AASS. COM. VAR. MAT. P/ CONST. VALE CONSTRUIRGUARANI MATERIAIS PARA CONSTRUÇÃOBRICOLAGEM BRASIL IND E COM DE MAT PARA CONSTGALVANI ENGENHARIAPRÉDIO NEW COM.EQUIP P/CONDLO SARDO MATERIAIS PARA CONSTRUÇÃORIMA PRODUTOS PARA CONSTRUÇÃO 2007PADOVANI E PADOVANICENTER CASTILHO MATERIAIS DE CONSTRUÇÃOFIBRA FLEX ISOLAMENTOS E REVESTIMENTOSSUPREMO CIMENTOELEVATO MATERIAIS DE CONSTRUÇÃO E DECORAÇÃOATACADÃO CONSTRUÇÃOPERI FORMAS E ESCORAMENTOCASIMPERMADEIREIRA SÃO CAETANOA & A FERRAGEMFLORISBELA MATERIAL PARA CONSTRUÇÃOMADEIREIRA TOCANTINSMADEIREIRA RIO BONITOSERRARIA ITAIPAVACOMERCIAL SS MARTINELLITANGARÁ ARTEFATOS DE CONCRETORAMALHO COMERCIALCOMERCIAL SANTO ANTÔNIO CONSTRUÇÃO, CASA E AFINSMADE1000 MATERIAIS PARA CONSTRUÇÃOCOMABNICOM COMÉRCIO DE MATERIAIS PARA CONSTRUÇÕESATLANTA MATERIAIS PARA CONSTRUÇÃOCOMERCIAL 74CONTORNO MATERIAISPEDRINHO COMÉRCIO E SERVIÇOS PARA CONSTRUÇÃOSOBASE COMÉRCIO DE MATERIAIS PARA CONSTRUÇÃOKATALÃO MATERIAL DE CONSTRUÇÃOBUBI COMÉRCIO DE MATERIAL DE CONSTRUÇÃOGALVÃO MATERIAIS DE CONSTRUÇÃOIPLA INDÚSTRIA E COMÉRCIOIRMÃOS MURYPEDREIRA VIGNÉALLPISOSBY PISOH.M ACABAMENTOSCONCEITUAL ACABAMENTOSLINEAR ACABAMENTOS PARA CONSTRUÇÃO CIVILCAMATTI MATERIAIS DE CONSTRUÇÃOVILLAGE MATERIAIS DE ACABAMENTOPRIMEIRA LINHA MSAMBRA ACABAMENTOSLAMIMAX COMERCIALAVENIDA 7 MATERIAIS DE CONSTRUÇÃOUNIÃO GUAREZIDEPÓSITO DE MAT. SANTO ANTÔNIOCASA FALCIMINERAÇÃO SANTIAGOCOMFIAÇO COMÉRCIO DE FERRO E AÇOCAMP MUROSBARONESACENTER MOMO COM. DE MAT. P/ CONSTRUÇÃODEPÓSITO 4000DEPÓSITO PARAMIRIMARCAL AREIA E CASCALHOSAREALSULDEPÓSITO DIAS MATERIAL PARA CONSTRUÇÃOPRODUTOS URSO POLARREI DO TELHADOCONSTRU FÁCIL ITUCENTRO DA CONSTRUÇÃOOURIMADEIRASREDE CONSTRU E CIALOJAS PAVÃO MATERIAL DE CONSTRUÇÃOSIONEK COM DE MATERIAIS DE CONSTRUÇÃOTAPUIAGRUPO DÁGUAMAURO CENTERREDE COSTAMARZEZINHO GUARA MATERIAIS PARA CONSTRUÇÃOZEBRÃO MATERIAIS PARA CONSTRUÇÃOCONSTRUÇÕES LUZPERBRAGA MATERIAIS DE CONSTRUÇÃOBORTOLON COM E CONSTRUÇÕESEMP 1105 MATERIAIS DE CONSTRUÇÃOFORROCOLFORTILIDER TUBOS E CONEXÕESRIO VERDE REPRESENTAÇÕESTIJOLO TELHA E CIACASA NUNES COM DE MATERIAIS PARA CONSTRUÇÃOISDRA IND E COMGRUPO ITAIPUINTERCASTROCENTER VILLECODARIN INDAIATUBA MAT PRA CONSTRUÇÃOMESSIAS MAT PARA CONSTRUÇÃOD.H. MATERIAIS PARA CONSTRUÇÕESADFER MATERIAIS DE CONSTRUÇÃOCONTRUÇÃO LIVREMADEZEMCONSTRUDANTAS MATERIAIS DE CONSTRUÇÃODEBAITADEPÓSITO TEIXEIRAIHIPERACUCENA MATERIAIS DE CONSTRUÇÃOMADEIREIRA MATA VERDEMALAGUTTI E NEVESMARPLEN MATERIAIS PARA CONSTRUCAOARGAMASSA SÃO JOAQUIMNELINHOGABRIELAMATELLI MATERIAIS DE CONSTRUÇÃOVILA NOVAGUARULAR MAT. PARA CONSTRUÇÃO EPPMAFREI MATERIAIS DE CONSTRUÇÃOTRELIFERCONSTRULAR COML. HIDR. MAT. P/ CONSTR.BENEMAR FAB. BLOC. E MAT. 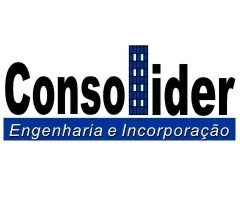 CONST.ICOCITAL ARTEFATOS D CONCRETOCONSTRUPISO MATERIAIS DE CONSTRUÇÃOREDEMACEXACTOMMCIPLA INDUSTRIA DE MATERIAIS DE CONSTRUCAO SADECORLIT IND E COMÉRCIOAEC WEBCONSTRUBASE MATERIAIS P/ CONSTRUÇÃOCONSTRUQUIMICA COMERCIALJM BELA VISTA MATERIAIS PARA CONSTRUÇÃODEPÓSITO SANTA ROSADISTRIBUIDORA NACIONAL DE CIMENTOESTORIL CIMENTOSBOZI MATERIAIS PARA CONSTRUÇÃOLINHAL IND. E COM.COMÉRCIO DE FERRAGENS ANHANGUERAZANETTI MAT. DE CONSTRUÇÃOBOA VISTA MATERIAIS DE CONSTRUÇÃOLAJOTEIRO COMÉRCIO DE MATERIAIS PARA CONSTRUÇÃOMADEIREIRA SÃO JOSÉMONTELA DISTR. DE MAT. DE CONSTRUÇÃOBONDANÇA CASA E CONSTRUÇÃOCOMERCIAL DE FERRAGENS SÃO LUISMOSAICOR COMÉRICO E IMPORTAÇÃOFERREIRA PINTO & CIACASA SÃO FRANCISCO MATERIAIS PARA CONSTRUÇÃOMATERIAIS DE CONSTRUÇÃO DOIS IRMÃOSTUTOIA MATERIAIS PARA CONSTRUÇÃOCASA SÃO PEDROAC COELHO MATERIAIS PARA CONSTRUÇÃOGRUPO TMCCOMERCIAL DE MATERIAIS PARA CONSTRUÇÃO CASA NOVASERRANA MATERIAIS PARA CONSTRUÇÃIBRAMA MATERIAIS P/CONSTRUÇÃOICOMACON COM DE MATERIAIS PARA CONSTRUÇÃOOK MATERIAISNORTE CONSTRUÇÃOCEMEAR COMÉRCIO E REPRESENTAÇÃOMINAS BAHIA REPRESENTAÇÕESROSE PISOSTELHARSUL REDESULLD ACABAMENTOSPONTUAL ACABAMENTOSCOREL ACABAMENTOSMORAES ACABAMENTOSDEPÓSITO SIDERALLAMI PRINT COMÉRCIO E SERVIÇOSKOMPEDRAS COMÉRCIO DE PEDRASWISSMANN MATERIAIS DE CONSTRUÇÃOUNIÃO LOCAÇÕESPONTUALTO COM. DE MAT. PARA CONSTRUÇÕESCONSMASUL MAT DE CONSTRUÇÃOCONSTRUMIX COM. DE FERRAGEMARGAMASSA 2 IRMÃOSCASA DOS CONSTRUTORES MATERIAIS PARA CONSTRUÇÃOSBANCORA MATERIAIS DE CONSTRUÇÃODEPÓSITO SÃO MARCOSALMOXKOMMERLINGMARIANO MATERIAIS DE CONSTRUÇÃOCCB CIMPOR CIMENTOS DO BRASILMIRANDA MATERIAIS DE CONSTRUÇÃOOLIVEIRA MAT DE CONSTRUÇÃOREYMARRMC COMÉRCIO E REPRESENTAÇÕESMB MATERIAIS DE CONSTRUÇÃO E FERRAMENTASSERV OBRASVIRTUAL MAT DE CONSTRUÇÃOROQUE AÇO E CIMENTOCONSTRUBEL MATERIAIS DE CONSTRUÇÃORAKSA E CIARODRIC OBRASNTC DIST DE MAT TÉCNICOS P/ CONSTRUÇÃO CIVILBLOCASA MATERIAIS PARA CONSTRUÇÃOCARDOSO A A MATERIAIS PARA CONSTRUÇÃOFORROFLEX MM COM E SERV DE FORROTELHAS E TELHASÓTIMA ATACADOMETRAÇO MATERIAIS DE CONSTRUÇÃOCASA AFONSOMETRÓPOLISDIPROTER DISTRIB PROD TERMICOS E HIDRAULICOSPOLATO MATERIAIS PARA CONSTRUÇÃO E DECORAÇÃOVILLA RÚSTICA COM DE MATERIAIS PARA CONSTRUÇÃOFRANZANA FASTARMAZÉM CORALBELA OBRA MATERIAIS DE CONSTRUÇÃO E REPRESENTAÇÃOCASA ESMERALDADEPÓSITA PILOTOTUPY MADEIRAS E MATERIAIS DE CONSTRUÇÃOVERBAMFIXRAMEC COMÉRCIO E SERVIÇOSJOMAFE MATERIAIS PARA CONSTRUÇÃOFIO E FERRO MATERIAIS SERV E CONSTRUÇÕESTEDESCO E CARDOSOMC CONSTRUÇÃODUBLOCOAREIA T. FERRARIBLOCOS CERÂMICOS TATUISOS LARF.H.COMASSETTO MATERIAIS DE CONSTRUÇÃOA&C MATERIAIS DE CONSTRUÇÃOELASTILMADESANDRIDEPOSITO DE MAT. DE CONST. NICHELEDRYBOX OBRAS SECAS E RESINASTIJOLÃOMATERCIC MAT. PARA CONSTRUÇÃOCASSOL MATERIAIS DE CONSTRUÇÃOBUSCHINELLI & CIAEQUIPAOBRA EQUIP. RACION.AMENCO ENGENHARIACASA ALVORADA DE PACAEMBURPJCAPATO MATERIAIS PARA CONSTRUÇÃOGALPAO 49 MATERIAIS PARA CONSTRUÇÃOITAUARA PREMOLDADOSBLOCOS RIBEIRÃOBARAMGART MATERIAIS DE ACABAMENTOCOMUGEO INSTRUMENTACAO PARA CONSTRUCAOBRAS VIGACOLUNA CASA E CONSTRUÇÃOKAELY DISTRIBUIDORA DE IMPERMEABILIZANTESSUPERCON MATERIAIS DE CONSTRUÇÃOMORETTO INDUSTRIA E COMERCIO DE MADEIRASCENTER FERTIN COMÉRCIO DE TINTAS E FERGS.MANETONI DIST. DE CIMENTO CAL E PROD. SIDERÚRGICOSFLASAN COMERCIAL E INDÚSTRIA DE PERFIS DE AÇOATACADÃO DE MADEIRAS BANGUCOLORADOMOMFORT INDUSTRIALCOMACOLTIJOLESTE MATERIAS PARA CONSTRUÇÕESCURSINO MATERIAIS DE CONSTRUÇÃOCONSTRUVANCONDECPRODESIVO IND. E COM.CONSTRU RIBEIRO COM. DE MAT. P/ CONSTRUÇÃOHIPER COMERCIAL DISTR. DE MAT. DE CONSTRUÇÃOROV TELHASCAPITAL TELHAS E MADEIRASMADEI PÉROLA COMÉRCIO DE MADEIRASCIMAFER COMÉRCIO DE MATERIAIS DE CONSTRUÇÃOFERMACO PORTUGUES MATERIAL PARA CONSTRUÇÃOLEXOR BITTAR COMERCIALCASA NOVA CONSTRUÇÕESDEPÓSITO SANTA ROSAVILA MATERIAIS PARA CONSTRUÇÃOHANDS COMÉRCIO DE MATERIAIS DE CONSTRUÇÃOCOMERCIAL ELÉTRICAGMCOMERCIAL SAO BENTO MATERIAIS PARA CONSTRUÇÃOCACULE MATERIAIS PARA CONSTRUÇÃOACTOS MATERIAIS MÉDICOIVI COMÉRCIO DE MATERIAIS PARA ESCRITMASTER CASA SHOPPINGPERACINI PISOSMPK CONSTRUTORA DE OBRASSOCONTECHCDC COMÉRCIO DE MATERIAL DE CONSTRUÇÃODEL LAMA & CIAIRMÃOS QUEIROZCOLONIAL CENTER MAT. PARA CONSTRUÇÃO BAURUPOLI MATERIAIS PARA CONSTRUÇÃOCENTER TREVO MATERIAIS PARA CONSTRUÇÃODEPÓSITO BOM JESUSJ EDSON TINTASCASA DO FERROCK& VOCÊ MATERIAIS PARA CONSTRUÇÃOCATEL HIDRAULICOS, LOUÇAS E METAISCASA GLÓRIABETTOMAK LOCADORAFMS GRANITOS E MATERIAIS DE CONSTRUÇÃOPISO CENTER MATERIAIS PARA CONSTRUÇÃOCONSTRÓI MAT. P/ CONSTRUÇÃOIRMÃOS MELLO MATERIAIS DE CONSTRUÇÃOPRIMAMATERIA ARQUITETURADEPÓSITO CASARÃOLORENFER COM E REPRE DE PROD METALURGICOSMEGAREIA COM DE MAT PARA CONSTRUÇÃOPARAÍSO DE ITÚ MATERIAIS PARA CONSTRUÇÃONORTINTAS S.A PARTICIPAÇÕESLUFAN MATERIAIS PARA CONSTRUÇÃOWS TELHASMODERNA MATERIAIS PARA CONSTRUÇÃOGRANIMOINHO MATERIAIS PARA CONSTRUÇÃOGUARUTELHA MAT PARA CONSTRUÇÕESETERSUL COM DE MATERIAIS DE CONSTRUÇÃOCOMERCIAL ALMEIDADVMTORRES CABRALLOJAS MARQUESTEMFER MATERIAL DE CONSTRUÇÃOISOFERES COM E REPRESENTAÇÃOVIRTUDEPLANALTO DEPÓSITO DE AREIA E MAT P/ CONSTRUÇÃOJ MONTE CENTERBRIMAD COM DE MADEIRAS E MAT PARA CONSTRUCÃOCONSTRULIFECODIMAT COMERCIAL E DISTRI DE MATERIAISCOMÉRCIO DE MATERIAIS DE CONSTRUÇÃO 3001WERMER MATERIAIS DE CONSTRUÇÃOALTO DA LAPA COM DE MATERIAIS PARA CONSTRUÇÃOECONÔMICO MAT DE CONSTRUÇÃOSOSTERTORTORA COM DE MATERIAIS DE CONSTRUÇÃOAREIÃO AMAZONASCASA SARAIVACOMERCIAL RODRIGUESCONSTRUCELEMPÓRIO DA ARQUITETURABELA CAZABALAROTI COM. DE MAT. DE CONSTRUÇÃOCASA HILLMANNCAL HIDRAKARDENIADESTROMATERIAIS DE CONSTRUÇÃO TERRALHEIROMATONEBASICAL MATERIAIS PARA CONSTRUÇÃOBUSCHLE E LEPPER S.ARESCHIOTTO IND. E COM. DE MAT. DE CONSTR.MULTINACIONAL DISTRIBUIDORA DE MATERIAIS DE CONSTRCONPASUL CONSTRUÇÃO E SERVIÇOSHORBACH E CIAEULACOM EURO LATINA COM. EXTERIORFEIRÃO DA CONSTRUÇÃOTUMELEROFORMATTO REVESTIMENTOSCONSTRUCALPEÇAFORTE COMÉRCIO E LOCAÇÃOBAUTECH BRASILPROJECTA MATERIAIS DE CONSTRUÇÃOMADESP COM. DE MADEIRAS E MAT. DE CONST.TIGRÃO DE RAMOSIDEALE ACABAMENTOSCARAJÁS MATERIAIS DE CONSTRUÇÃOCIMENTO FORTE COMERCIALTECOMATMEGANORDESTEAREBOX COL. DE RESID. MATERIAIS PARA CONSTRUÇÃOAÇOMAC IND E COM DE PRODUTOS SIDERÚRGICOSJAFERMAT COM. DE MAT. P/ CONSTRUÇÃORIAÇO MATERIAIS PARA CONSTRUÇÃOALVOMACAVENIDA TINTAS M.MARRANFLASH FILHO COMERCIAL DE CIMENTORECIM CONSTRUÇÃO E IMPERMEABILIZAÇÃOMADEIREIRA MORADA NOVACAMPINA GRANDE MATERIAIS DE CONSTRUÇÃOMADEIREIRA AMERICANAMADEIREIRA SANTO ANTÔNIOF.M. MADEIRASBABÁ MATERIAIS PARA CONSTRUÇÃOAQUARELA MATERIAIS DE CONSTRUÇAO E FINO ACABAMENTOMATERIAIS DE CONSTRUÇÃO SANTA CLÁUDIAITAPI COMÉRCIO DE MATERIAIS DE CONSTRUÇÃOCALURA MATERIAIS DE CONSTRUÇÕESFORNECEDORA CHATUBA DE NILÓPOLISCIMCAL MATERIAL DE CONSTRUÇÃO OSVALDO CRUZPAVAN MATERIAIS DE CONSTRUÇÃODUNQUER E CIAMATERIAIS PARA CONSTRUÇÃO COLORADOTENDTUDOMAITPONTAL MATERIAIS PARA CONSTRUÇÃOCCF MATERIAISP MOURA COM. DE MAT. PARA CONSTRUÇÃOBRUTO DA CONSTRUÇÃOTILEGOJS PISOSIBIZA MATERIAIS PARA ACABAMENTOS ESPORT. E IMPORT.REVEST ACABAMENTOSBERNINI ACABAMENTOSEVIDENCE ACABAMENTOSMULTGRAF ACABAMENTOS GRÁFICOSCONTACTO MATERIAL DE CONSTRUÇÃOGRAS ACABAMENTOSMATERIAIS PARA CONSTRUÇÃO IRMÃOS CAMARGOMACOFAR MATERIAIS DE CONSTRUÇÃOPOLINA MATERIAIS DE CONSTRUÇÃOTELHÃO MILTECSILOS INDÚSTRIA E COMÉRCIOCOMETACONSTRUREI MAT. PARA CONSTRUÇÃOCASA DAS CUBASCENTER VILLE MATERIAIS PARA CONSTRUÇÃOCIMENTOLÂNCIABARCELONABRASCOM REPRESENTAÇÕESCOMERCIAL PAULIVIP MATERIAIS PARA CONSTRUÇÃOSIMONETTI REPRESENTAÇÕESITAIPU MOGI CAS CRUZES IM. E COM. DE MAT. DE CONSTALPLASTIPEL COMERCIAL DE SACARIAAUTOMATOM COM. MAT. P/ CONST. ELETR. FERRAMENTASDEPÓSITO PANORAMACASA REALEZAMATERIAIS DE CONSTRUÇÃO BRASIL SULCAETANO MATERIAIS PARA CONSTRUÇÕESAPOIO PARCERIAS COMERCIAISCICALA MATERIAL PARA CONSTRUÇÃOPEDRA FORT COM DE MATERIAIS DE CONSTRUÇÃOOLARIA GUIDOPARAGOMINAS CONSTRUÇÕESTIJOLINHO E CIAPORTO KOLLSÓ CONSTRUÇÃOSANTO EXPEDITOPREGÃO MATERIAIS DE CONSTRUÇÃOCALCIMAR MATERIAIS DE CONSTRUÇÃOCASA DAS CONSTRUÇÕESGRIMF MATERIAIS DE CONSTRUÇÃOHIDRÁULICA BARIGUÍ MAT DE CONSTRUÇÃOCONSTRUCASA MATERIAIS DE CONSTRUÇÃOANDRÉ E ANDERSONINDÚSTRIA DE TIJOLOS BEIRA RIOGEOBRASIL COM DE MATERIAIS DE CONSTRUÇÃOBASTOS COM DE MATERIAIS DE CONSTRUÇÃOIRMÃOS FONTOURAHX CONSTRUÇÃOVIMERCATIINGÁ ACABAMENTOSCASCALHEIRA UBERABINHACONSTRUCOPAMARIO TELHASMC TIJOLOSFERRAGENS TIAGOECOJOLCASTELO FORTEHIDRACALMATERIAIS UNIFORTAREIA ANATARCAL TRANSP E MAT DE CONSTRUÇÃOTRELIFORROBIGUETTI MATERIAIS PARA CONSTRUÇÃOGGB MATERIAIS DE CONSTRUÇÃOINOVARDUMELLOREDE CONSTRUIRGASPARIM E FILHOSCASA SIQUEIRAJV COM. DE ESQUADRIASCIMENTO ITAMBÉCONSTRUSYSTEMRAMALHO COMERCIALALDEBARÃ REPRESENTAÇÕESCONSTRUMAXXI IND. E COM. DE MAT. P/ CONTRUÇÃOTAMAROSSI DECORAÇÕES E CIACASA CASTOR MATERIAIS DE CONSTR.DEPÓSITO DE MAT P/CONSTRUÇÃO SANTA IZABELTEGO TELHAMETAL COMÉRCIOATACADÃO MATERIAIS PARA CONSTRUÇÃOEMPRAFE EMPRESA REV. DE AÇO E FERROSHOPPING TELHASTUMELERO MATERIAIS DE CONSTRUÇÃO S/ASOLAR BEACH DO BRASILCARRARO COMÉRCIO DE DERIVADOS DE MADEIRAMATERIAIS DE CONSTRUÇÃO LINEARIMAPCTO PROTENSÃONARDUK DO BRASIL INDÚSTRIA E COMÉRCIOCONSTRUMAREPCON ENGENHARIA E PROJETOS E CONSTRUÇÃOLÍDER SUPPLY TRANSPORTES COMÉRCIO E REPRESENTAÇÕESCEMACO MATERIAIS PARA CONSTRUÇÃOTIJOLARIA CARBONARI MAT. PARA CONSTRUÇÕESCOBRASCAL INDÚSTRIA DE CALMADEIREIRA SÃO FRANCISCOMALESSA MATERIAIS DE CONSTRUÇÃOCOMERCIAL IVAIPORÃJAIR MADEIRASCORRETAMATERIAIS DE CONSTRUÇÃO MONARCOBARBIERI CASA & CONSTRUÇÃORICASA MATERIAIS PARA CONSTRUÇÃOPAVIN MATERIAIS DE CONSTRUÇÃOTODIMO MATERIAIS PARA CONSTRUÇÃOSPINOLA MATERIAISPATINHA MATERIAIS DE CONSTRUÇÃOBAZAR 579KSADORIVAL CONTATTO & CIAPIASTRELLE COMÉRCIO DE MATERIAIS PARA CONSTRUÇÃOMULTIPISO ACABAMENTOSACABAMENTOS MAGNOFAC COM. DE ACABAMENTOS PARA CONSTRUÇÃODEPÓSITO MODELOBASE AMBIENTAL RECICLADORAUNIÃO MATERIAIS DE CONSTRUÇÃOVILAREJO DE MACAÉ MATERIAIS DE CONSTRUÇÃOTPREXMERC COMÉRCIO DE MATERIAIS PARA CONSTRUÇÃOAGROTODO TETO CASA E CONSTRUÇÃOTREVÃO DA CONSTRUÇÃO DE BARRETOSCONSTRUFÁCIL COM. DE MAT. DE CONSTR.D CALHASDIMARCAS MATERIAL DE CONSTRUÇÃORAMOS DISTRIBUIDORA DE FERRAMENTASFORGUAÇU FORNECEDORA DE MATERIAIS DE CONSTRUÇÃOMAPRON MATERIAIS PARA CONSTRUÇÃODEPÓSITO DIAMANTE AZULDEPÓSITO SAO JOSÉCASTRO CENTER MATERIAIS DE CONSTRUÇÃOAMBIENTAR COMÉRCIO DE MATERIAIS DE CONSTRUÇÃOAS RODRIGUES DISTRIBUIDORADEPÓSITO CAIUBICONSERVE COM. 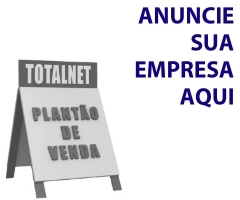 MANUTENÇÃO E EQUIPAMENTOSMETALMAXI IND.E COM. DE EQUIP. DE CONSTRUÇÃO.DELFINO MAT. DE CONSTRUÇÃOMARSON COM E DIST DE MATERIAIS DE CONSTRUÇÃOPIRES MATERIAIS PARA CONSTRUÇÃONOVA CANEDO MATERIAIS DE CONSTRUÇÃOBANDEIRANTE COM DE MATERIAL DE CONSTRUÇÃOLOJA GUILHERME MATERIAIS DE CONSTRUÇÃOPISO 10 MATERIAIS PARA CONSTRUÇÃOPOSTINHO MATERIAIS PARA CONSTRUÇÃOMARCJULIANACOM DE MAT DE CONSTRUÇÃO CASA ROSADABONI TUBOS CONEXÕES E SANEAMENTOCAÇULINHACASA FERNANDES MATERIAIS PARA CONSTRUÇÃOBORDIGNON MATERIAIS DE CONSTRUÇÃOCAL PARNAÍBA INDÚSTRIA E COMÉRCIOABACÉ MATERIAL DE CONSTRUÇÃOTOYO JOYA MATERIAIS PARA CONSTRUÇÃOPRIORIMATERIAIS DE CONSTRUÇÃO 18 TONELADASCENTER TUDOJUNTALIDERDIRECIONAL ARGAMASSAS E REVESTIMENTOSVGA COM VAREJISTA DE MATERIAIS DE CONSTRUÇÃOAREAL RIO DOCEMARANATA MATERIAIS PARA CONSTRUÇÃOPAULISTA INSTALADORA DE PISOS E FORROSPOLIMAX COM DE PRODUTOS PARA CONSTRUÇÃOCIANORTEBR3 MATERIAIS DE CONSTRUÇÃOF. ALMEIDA E CIAAYELLO COMÉRICO DE MATERIAIS DE CONSTRUÇÃOACALPINHEIRÃO MATERIAL PARA CONSTRUÇÃODANIEL CONSTRUÇÃODISCALELETROALOI MATERIAIS DE CONSTRUÇÃOCHAIRON MATERIAIS DE CONSTRUÇÃOAÇOFER COMÉRCIO DE AÇO E FERROECOBLOCOSBENEVIDESMANOEL LIMA MAT DE CONSTRUÇÃONIVELLECARIBEBIOMASSASÓ SUCESSO MATERIAIS DE CONSTRUÇÃOHENRIQUE MAT DE CONSTRUÇÃODISTRIBUIDORA CLAVERYADOBEDEPÓSITO LCVIVIAN MATERIAIS DE CONSTRUÇÃODEPÓSITO DE TACOS BELA VISTAAPLIK GESSOCONSTRULOPES E GIMENEZCIMENTEC TRANSPORTES EXPORTAÇÃO E COMÉRCIOCASA DA MANTAPANAGONELLO FORTE REPRES. COM. IMPORT. E EXPORT. A EMBRAMACO CONTA COM PROFISSIONAIS ESPECIALIZADOS, E UTILIZA EQUIPAMENTOS DE ÚLTIMA GERAÇÃO, QUE GARANTEM OS MELHORES PISOS E REVESTIMENTOS. AS FÁBRICAS SÃO MONTADAS COM EQUIPAMENTOS ITALIANOS DE ÚLTIMA GERAÇÃO, CAPAZES DE PRODUZIR PRODUTOS QUE ATENDAM AS NECESSIDADES DO MERCADO. CLANAP COMÉRCIO DE IMP. E XP. A STEIL É UMA EMPRESA QUE DEDICA-SE A COMERCIALIZAÇÃO DE MATERIAS DE CONSTRUÇÃO. A PAVIARTE OFERECE CONCRETO ESTAMPADO, SISTEMAS DE RESTAURAÇÃO E IMPERMEABILIZAÇÃO. A DAOBRA É UMA EMPRESA ESPECIALIZADA EM MATERIAIS DE CONSTRUÇÃO. A MOSAIK OFERECE MATERIAIS DE CONSTRUÇÃO E ARTES PLÁSTICAS EM AÇO. O GRUPO DEMA É UMA EMPRESA ESPECIALIZADA EM PRODUTOS DE MATERIAIS DE CONSTRUÇÃO EM GERAL. A CARTESCOS ATUA NO RAMO DE COMERCIALIZAÇÃO DE MATERIAIS DE CONSTRUÇÃO EM GERAL. A EMPRESA TOGNI COMERCIALIZA MATERIAIS REFRATÁRIOS. A EMPRESA CAPELASSO COMERCIALIZA MATERIAIS PARA CONSTRUÇÃO. 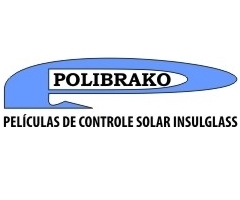 A EMPRESA CASA DAS AGUAS COMERCIALIZA MAERIAIS PARA CONSTRUÇÃO E ELETRODOMESTICOS. 977 ANÚNCIOS ENCONTRADOS. PÁGINA 1 DE 49.